In Sept 2013 I received a phone call that was a huge surprise! My daughter had nominated me for the NZ Gardener of the Year competition (and forgot to tell me). 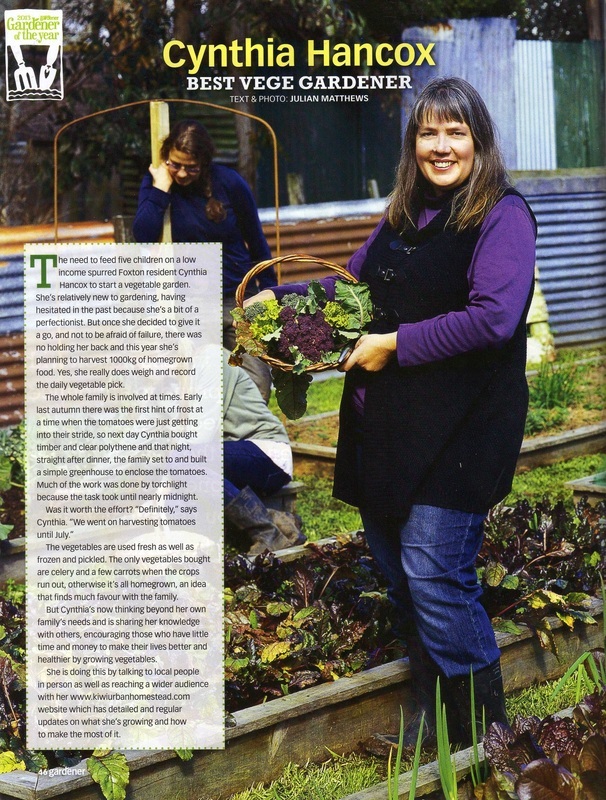 The call was to tell me that I had been chosen as the Best Vege Gardener finalist, putting me in the running for Gardener of the Year, and could they send a journalist around the next day to take photos and write an article for the next issue of the magazine?! How exciting! The article that appeared in the Oct issue of the magazine is below. Unfortunately I didn't win Gardener of the Year, but being a part of the competition was a lot of fun, and very motivating for this brand new gardener!